Web hosting is all about the service for the organizations as well as individuals to post the web page or sites across the internet. At the same time, most of the business owners may prefer a web hosting services for their businesses in huge. As we all know that the website is mainly considered to be the marketing tool, so it requires a lot of stuff to reach the target audience at the right chord. One must keep it in mind that the services offered to your website will bring out the outcome. This could be the main reason that why most of the website owners seeking for the best web hosting providers. However, nowadays, most of the companies are rolling out with great performances at affordable prices. So, it is essential to choose the best hosting provider for your website. 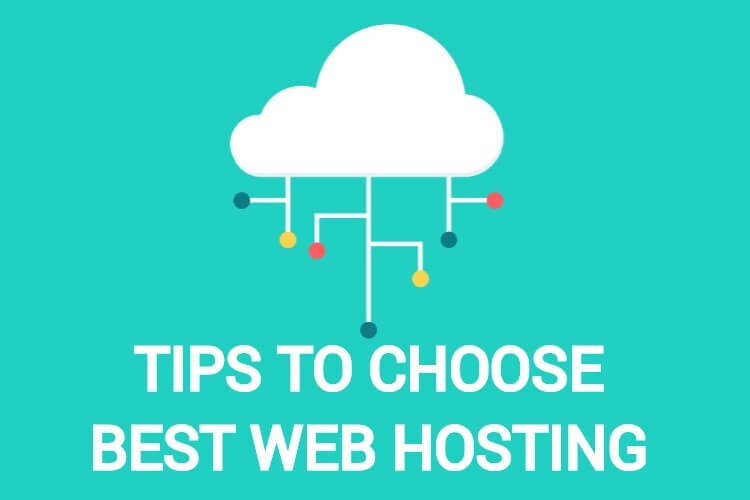 When it comes to choosing the web hosting providers, it is crucial for you to know more about the tips to follow before approaching the web hosting providers. If you are the one who is very much confusing about choosing the right web hosting, then hosting evaluation plays always a crucial role in terms of finding the best web hosting provider across the internet. Sometimes, there could be a chance of losing the stored data from on your website due to various reasons. At this condition, most of the people’s query is all about how to recover the losing stuff. It is crucial for you to know about the hosting provider which will help to backup the data often and save from losing it. You must be aware of the fact that the hosting providers have the capabilities of solid backup or not. At the same time, there will also be a chance of your website getting crashed due to malware infection, make sure to know whether the service provider can recover it or not. Hosting providers are often using the hardware comprised of types of machines. One must keep it in mind that the performance of hardware may impact your website performances along with the servers too. Sometimes, you will require the hosting provider to focus on your sites for some small web pages along with the less traffic. In future, if your site grows big and becomes complicated to handle, will the hardware of hosting provider manage it? So, this is the thing you need to focus on it. When it comes to considering the hardware, you need to check out RAMs, CPUs, and GPUs of the company. When it comes to checking the price provided by the web hosting, you need to be aware of it often. The main reason to know about the pricing is where you can see that several hosting providers may offer the same plans but with different price tags. Also, you must choose the hosting at a reasonable price rather than choosing the cheapest services. If you aren’t aware of the web hosting prices as per the plan, then finding the hosting with right price could be useful for getting the better performances. This is the thing that every user of hosting will ask the providers often. In case, if your website has some minor or major issues in it due to the hosting, then you must be seeking support from the provider to sort it. At the same time, make sure to know that the hosting provider can give 24/7 monitoring service for the website or not. These are the things that you need to follow before going to choose the web hosting provider for your website. Generally, when it comes to launching the website, it is always crucial for the user to check out whether the website will sustain in future or not. Instead of just launching the websites, make sure to know about the future. So, it is always important for the people to know more about the upgrade plans and other facilities provided for the website in future. Based on these things, one must be aware of choosing the right web hosting provider.